The Edict of Nantes (French: édit de Nantes), signed in April 1598 by King Henry IV of France, granted the Calvinist Protestants of France (also known as Huguenots) substantial rights in the nation, which was still considered essentially Catholic at the time. In the edict, Henry aimed primarily to promote civil unity. [a] The edict separated civil from religious unity, treated some Protestants for the first time as more than mere schismatics and heretics, and opened a path for secularism and tolerance. In offering general freedom of conscience to individuals, the edict offered many specific concessions to the Protestants, such as amnesty and the reinstatement of their civil rights, including the right to work in any field or for the state and to bring grievances directly to the king. It marked the end of the religious wars that had afflicted France during the second half of the 16th century. The Edict of St. Germain, promulgated 36 years before by Catherine de Médici, had granted limited tolerance to Huguenots but was overtaken by events, as it was not formally registered until after the Massacre of Vassy on 1 March 1562, which triggered the first of the French Wars of Religion. The later Edict of Fontainebleau, which revoked the Edict of Nantes in October 1685, was promulgated by Louis XIV, the grandson of Henry IV. It drove an exodus of Protestants and increased the hostility of Protestant nations bordering France. The Edict aimed primarily to end the long-running Wars of Religion. [b] Henry IV also had personal reasons for supporting the Edict. Prior to assuming the throne in 1589 he had espoused Protestantism, and he remained sympathetic to the Protestant cause: he had converted to Catholicism in 1593 only in order to secure his position as king, supposedly saying "Paris is well worth a Mass". The Edict succeeded in restoring peace and internal unity to France, though it pleased neither party: Catholics rejected the apparent recognition of Protestantism as a permanent element in French society and still hoped to enforce religious uniformity, while Protestants aspired to parity with Catholics. "Toleration in France was a royal notion, and the religious settlement was dependent upon the continued support of the crown." Re-establishing royal authority in France required internal peace, based on limited toleration enforced by the crown. Since royal troops could not be everywhere, Huguenots needed to be granted strictly circumscribed possibilities of self-defense. The Edict of Nantes that Henry IV signed comprised four basic texts, including a principal text made up of 92 articles and largely based on unsuccessful peace treaties signed during the recent wars. The Edict also included 56 "particular" (secret) articles dealing with Protestant rights and obligations. For example, the French state guaranteed protection of French Protestants travelling abroad from the Inquisition. "This crucifies me," protested Pope Clement VIII, upon hearing of the Edict. The final two parts consisted of brevets (letters patent) which contained the military clauses and pastoral clauses. These two brevets were withdrawn in 1629 by Louis XIII, following a final religious civil war. The two letters patent supplementing the Edict granted the Protestants safe havens (places de sûreté), which were military strongholds such as La Rochelle, in support of which the king paid 180,000 écus a year, along with a further 150 emergency forts (places de refuge), to be maintained at the Huguenots' own expense. Such an act of toleration was unusual in Western Europe,[c] where standard practice forced subjects to follow the religion of their ruler — the application of the principle of cuius regio, eius religio. The original Act which promulgated the Edict has disappeared. The Archives Nationales in Paris preserves only the text of a shorter document modified by concessions extracted from the King by the clergy and the Parlement of Paris, which delayed ten months before finally signing and setting seals to the document in 1599. A copy of the first edict, sent for safekeeping to Protestant Geneva, survives. The provincial parlements resisted in their turn; the most recalcitrant, the parlement of Rouen, did not unreservedly register the Edict until 1609. The location of the signing is mooted. The Edict itself states merely that it is "given at Nantes, in the month of April, in the year of Our Lord one thousand five hundred and ninety-eight". By the late 19th century the Catholic tradition cited the signing in the "Maison des Tourelles", home of prosperous Spanish trader André Ruiz; it was destroyed by bombing in World War II. The Edict remained unaltered in effect, registered by the parliaments as "fundamental and irrevocable law," with the exception of the brevets, which had been granted for a period of eight years, and were renewed by Henry in 1606 and in 1611 by Marie de Médecis, who confirmed the Edict within a week of the assassination of Henry, stilling Protestant fears of another St. Bartholomew's Day massacre. The subsidies had been reduced by degrees, as Henry gained more control of the nation. By the peace of Montpellier in 1622, concluding a Huguenot revolt in Languedoc, the fortified Protestant towns were reduced to two, La Rochelle and Montauban. The brevets were entirely withdrawn in 1629, by Louis XIII, following the Siege of La Rochelle, in which Cardinal Richelieu blockaded the city for fourteen months. In October 1685, Louis XIV, the grandson of Henry IV, renounced the Edict and declared Protestantism illegal with the Edict of Fontainebleau. This act, commonly called the 'revocation of the Edict of Nantes,' had very damaging results for France. While the wars of religion did not re-ignite, intense persecution of Protestants took place. All Protestant ministers were given two weeks to leave the country unless they converted to Catholicism and all other Protestants were prohibited from leaving the country. In spite of the prohibition, the persecution including many examples of torture caused as many as 400,000 to flee France at risk of their lives. Most moved to Great Britain, Prussia, the Dutch Republic, Switzerland, South Africa and the new French colonies and the Thirteen Colonies in North America. This exodus deprived France of many of its most skilled and industrious individuals, some of whom thenceforward aided France's rivals in the Netherlands and in England. 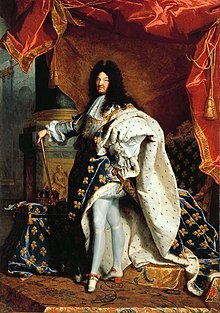 The revocation of the Edict of Nantes also further damaged the perception of Louis XIV abroad, making the Protestant nations bordering France even more hostile to his regime. Upon the revocation of the edict, Frederick William, Elector of Brandenburg issued the Edict of Potsdam, which encouraged Protestants to come to Brandenburg-Prussia. Freedom to worship and civil rights for non-Catholics in France were not restored until the signing of the Edict of Versailles, also known as the Edict of Tolerance, by Louis XVI 102 years later, on 7 November 1787. This edict was enacted by parlement two months later, less than two years before the end of the Ancien Régime and the Declaration of the Rights of Man and Citizen of 1789 would fully eliminate religious discrimination in France. VI. And in order to leave no occasion for troubles or differences between our subjects, we have permitted, and herewith permit, those of the said religion called Reformed to live and abide in all the cities and places of this our kingdom and countries of our sway, without being annoyed, molested, or compelled to do anything in the matter of religion contrary to their consciences, ... upon condition that they comport themselves in other respects according to that which is contained in this our present edict. XIII. We very expressly forbid to all those of the said religion its exercise, either in respect to ministry, regulation, discipline, or the public instruction of children, or otherwise, in this our kingdom and lands of our dominion, otherwise than in the places permitted and granted by the present edict. XXI. Books concerning the said religion called Reformed may not be printed and publicly sold, except in cities and places where the public exercise of the said religion is permitted. XXII. We ordain that there shall be no difference or distinction made in respect to the said religion, in receiving pupils to be instructed in universities, colleges, and schools; nor in receiving the sick and poor into hospitals, retreats, and public charities. ^ In 1898, the tricentennial celebrated the edict as the foundation of the coming Age of Toleration; the 1998 anniversary, by contrast, was commemorated with a book of essays under the title, Coexister dans l'intolérance (Michel Grandjean and Bernard Roussel, editors, Geneva, 1998). ^ A detailed chronological account of the negotiations that led to the Edict's promulgation has been offered by Janine Garrisson, L'Édit de Nantes: Chronique d'une paix attendue (Paris: Fayard) 1998. ^ For Eastern Europe, see Mehmed II's Firman on the Freedom of the Bosnian Franciscans or the Warsaw Confederation. ^ The King engaged to support the Protestant ministers in part recompense. ^ The ordonnance of 22 February 1610 stipulated that the emigrés settle north of the Dordogne (safely away from the manipulations of Spanish agents) and that they embrace the Catholic faith; those who did not wish to do so were granted right of passage to French ports on the Mediterranean, to take ship for Barbary. By the time the ordonnance was published Henri IV had been assassinated. ^ a b George A. Rothrock, Jr., "Some Aspects of Early Bourbon Policy toward the Huguenots" Church History 29.1 (March 1960:17–24) p. 17. ^ Texts published in Benoist 1693 I:62–98 (noted by Rothrock). ^ Rothrock 1960:23 note 6. ^ Reported in Baedeker, Northern France, 1889. ^ A point made in Rothrock 1960:19. ^ Ruth Kleinman, "Changing Interpretations of the Edict of Nantes: The Administrative Aspect, 1643–1661" French Historical Studies 10.4 (Autumn 1978:541–571. ^ Morison, Samuel Eliot (1972). The Oxford History of the American People. New York City: Mentor. p. 220. ISBN 0-451-62600-1. ^ See History of the French in Louisville. The source followed by most modern historians is the Huguenot refugee Élie Benoist's Histoire de l'édit de Nantes, 3 vols. (Delft, 1693–95). E.G. Léonard devotes a chapter to the Edict of Nantes in his Histoire général du protestantisme, 2 vols. (Paris) 1961:II:312–89.